I consider myself an impulsive shopper — I hardly think twice when I make a purchase nor do I carefully weigh whether it’s a ‘want’ or a ‘need’. But for big-ticket items like a designer bag, I definitely take longer to make a purchasing decision because I tend to compare the prices and models, as well as seek opinions from different people. Buying a luxury watch is no different, and typically consists a lot of ‘legwork’. So for those who has no time to do the necessary research and prefer to “test-drive” the items instead, Acquired Time will definitely be up your alley. This local watch subscription startup offers various luxury watches for rental, with prices as low as $175/month. This dwindles down to just $5.83 a day for watches like an Omega Speedmaster and a Tudor Black Bay. Its highest tier is priced at $375/month — equivalent to $12.50 a day — for more exclusive models like a Rolex Daytona and an Audemars Piguet Roo. To shed light on how affordable the daily rental rate is, a Rolex Daytona retails at a whopping price of US$12,400. Brands offered by the service include the likes of Audemars Piguet, Rolex, Hublot, IWC, Panerai, Tudor, Omega, Cartier, Chanel and Chopard. Subscribers need to sign up for a minimum of six months and they can swap for another watch every month, as long as it’s in the same or lower price tier. When asked if six months make for a rather long subscription period, co-founder Roy Tong said that it is actually a “sweet spot” in terms of retaining a subscriber, as well as providing a decent number of watches for subscribers to enjoy. If we’re going to spend thousands on it, it only makes sense for us to “test-drive” it so we know if it makes for a viable purchase or a worthy investment. 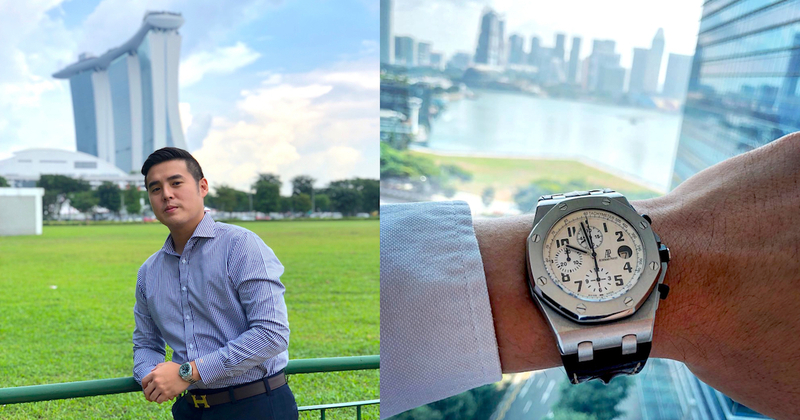 Roy was determined to solve this pain point, so he started up Acquired Time with his business partner, who is an avid watch collector and horologist. “I lamented [to him] that there was no way I could try on a piece before sinking a hefty amount of money into it — my fear of buyer’s remorse,” said the 27-year-old investment analyst. He agreed that this was a problem that a lot of people he met faced, and suggested that there was a void in Singapore’s robust watch market that we could fill with a simple solution — a service where people could lease timepieces and feel it on their wrist before making a purchase decision. The two went on to establish Acquired Time in 2017, and were the “first in the [Singapore] market” to launch such a platform. With this subscription service, Roy said that users can wear the watch for a month to really assess if they like it, versus trying it out in a store for just a few minutes. Or if you prefer swapping watches every month (instead of buying a watch at the end of the subscription), you won’t have to worry about post-purchase costs such as maintenance fee, depreciation and resale value. Slapping an expensive watch on the wrist may be a scary thought for some — what happens if they damage it? Roy assures that they do not charge subscribers for minor damages such as “hairline scratches and polishable dings”. These won’t affect the resale value, but for damages like cracks in the crystal or torn leather, Acquired Time will charge a replacement fee. “We started the business with just five watches, in addition to startup costs. We bootstrapped further along the way as demand increased, so a big bulk of our funds have been going straight into revenue-generating assets,” said Roy. He added that take-up at the beginning was lower so he had to find ways to increase the repeat customer base. But overall, from inception till now, Roy described users’ response as “fantastic” and they even have a waiting list. Numbers don’t lie. The speed at which our subscribers list has grown, and at which this model has caught on, [is very fast]. Initially, Acquired Time started out with “one-off rentals” for either a weekend or a week, but it has since switched to a monthly subscription model which has helped to increase stickiness and drastically lower daily rates. They used to charge a Rolex watch for $38 a day, but with the current subscription model, it now costs as low as $9.10 a day. Because of this switch, they are “now at a 100% utilisation rate”, hence the need to procure more inventory. Roy refused to disclose how many luxury watches Acquired Time has in its current collection, but revealed that the value of its watches has exceeded a million dollars. Based on the current collection, Roy added that its “run-rate revenues are closing in on $100,000 a year”, but this figure is set to increase as they add more watches to their collection. When asked about business challenges, Roy cited consumer education as a key challenge. 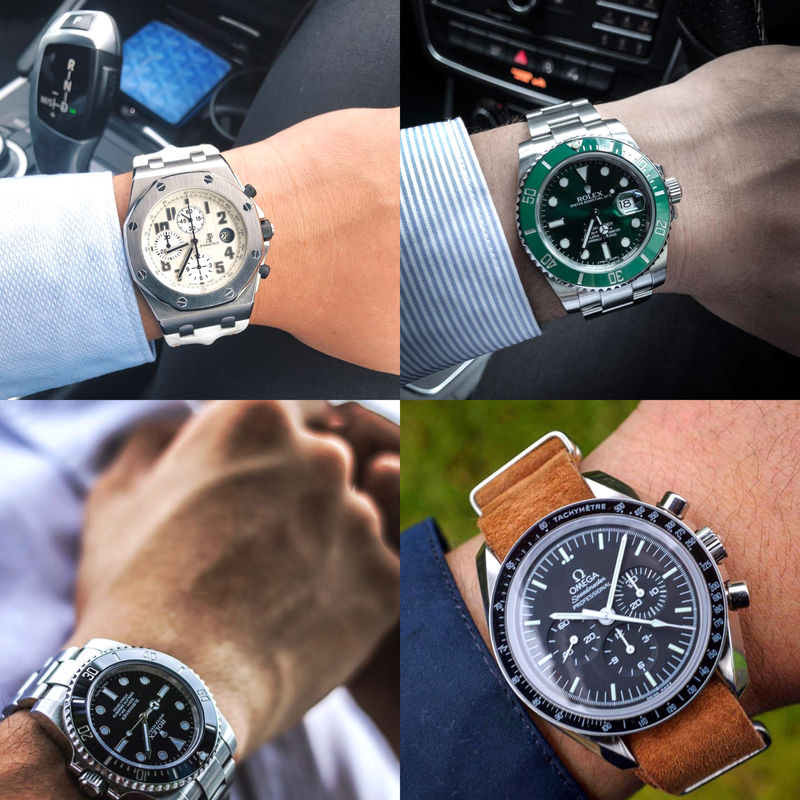 People read the headlines and they see the words “rent a Rolex” and they immediately associate it with renting to show off when [my intention is to let subscribers] test-drive a few pieces so they can make a purchase without a huge fear of buyer’s remorse. “But I truly believe this stigma is rapidly dissipating. I think our brave efforts of pioneering such a novel idea within a society where such stigma is rife are being appreciated by the public more and more,” said Roy. 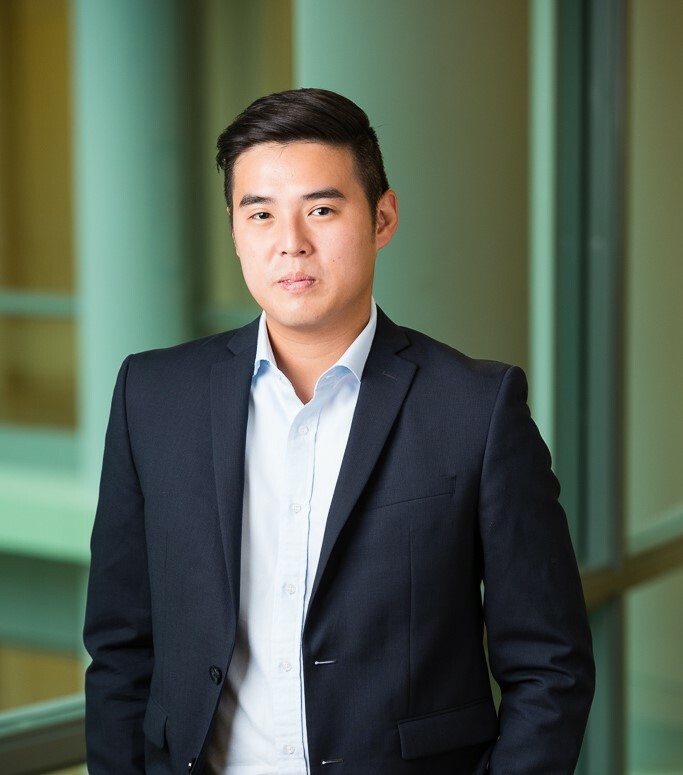 While Acquired Time focuses on optimising its subscription service in Singapore, Roy said that it is also looking at expanding to Hong Kong by 2019. Roy reasoned that Hong Kong is very similar to Singapore, so it wouldn’t be like entering an entirely new frontier. Hong Kong also has a sizeable local white-collar population, an incremental population size due to large number of expats, and it is not short of luxury demand or progressive sharing economy acceptance among target population, said Roy. Sharing other business plans, he added that it is also looking to partner with other Singaporean companies. For instance, it has recently partnered StyleLease, a local gown/dress rental company, to offer women’s watches as an “upsize” of sorts to their dress rentals. “We are currently putting together a programme that will work somewhat like an Amazon Prime, or ‘privileged membership’, where members who have been with Acquired Time for at least a year will be upgraded into this tier and offered certain perks not available to new clients”. Roy did not specify these “perks”, but revealed that they are looking to pilot this new scheme at the start of 2019. When asked to share a piece of business advice for fellow entrepreneurs, Roy asserted that execution is key. Ideas are cheap and easy to come by, but success revolves around execution. You can have a brilliant idea, yet still fail because of poor execution. Similarly, if you have a decent idea, you can still excel with great execution. On that note, Roy imparted another advice: “watching a professional golfer does not mean you can play like one”. In the business world, there will always be people who will attempt to copy your ideas, he warned. Never be afraid or discouraged by competition … and have confidence in the model you built by identifying key strengths and focusing on those.